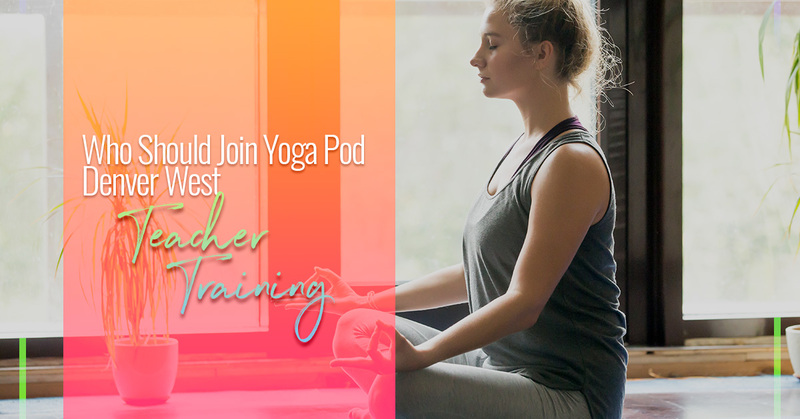 Who Should Join Yoga Pod Denver West’s Teacher Training? Yoga Pod Denver West is excited to launch our spring 200-hour vinyasa yoga teacher training! From April 3 through May 26, our teacher training, led by Ashlyn Bugbee and Alex Sandoval, will give yogis the chance to grow and learn together. Most of these front desk conversions center around whether yoga teacher training is the right decision; whether the yogi is “good enough” to do it; and, what the financial obligations might be. So, at Yoga Pod Denver West, we wanted to detail answers to these questions we get most frequently about our yoga studio 200-hour teacher training. What Will Teacher Training Cover? Taking a 200-hour training isn’t just about learning to teach yoga, though that’s a part of the curriculum too. In fact, teacher training aims to give a comprehensive understanding of yoga — its history, cultural impact, physical aspects, and mental aspects. Every teacher training session will give you the opportunity to learn something new about yoga, practice teach, and benefit from the knowledge of your teacher training leads. Who Is The Ideal Teacher Training Participant? There is no archetype of the perfect teacher training participant. In fact, there’s no prerequisite for being able to participate! You don’t need an impressive arm balance practice, you don’t need to do 10-minute headstands every morning, and you certainly don’t need to know what Karnapidasana is (ear pressure pose). When we say anyone can benefit from teacher training, we mean it! You want to teach: if you’re eager to teach yoga, you’ll need your 200-hour certification to do so. Our teacher training is one of the best in the area, and it will set you up for RYT certification. 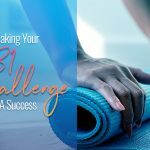 You love yoga: if you can’t get enough of yoga and want to ensure it’s a part of your routine for years to come, taking a teacher training is an excellent idea. You’ll learn proper alignment, become more in touch with your own body, and learn about the culture of yoga. There’s no better way to add meaning (and safety!) to your practice than a teacher training. You want structure: yoga teacher training is intensive and involves taking yoga classes, attending teacher training sessions, reflecting on classes, and living and breathing yoga for a few months. If you want a healthy structure in your life, look no further than teacher training. If you want to learn more about teacher training or sign up, visit our yoga studio in Denver West today! We’re excited to be a part of your yoga journey.